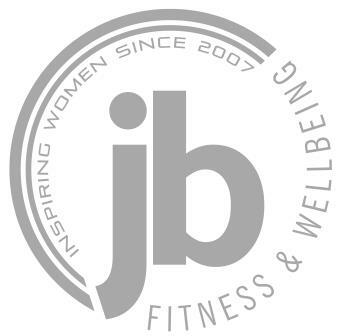 Julie is the founder of JB Fitness & Wellbeing, which started life as a small Personal Training company with a difference in 2007. She is highly regarded as one of the most motivating, inspiring and tough trainers in Swindon. Julie’s passion and expertise is in training women with weight to lose. Her ethos is that everyone has it in them to change and break the cycles that hold them back, by adopting a healthier lifestyle. She trains and educates many women who over the years have tried every diet available, constantly yo-yoed with their weight and may have even considered bariatric surgery. Julie is not your typical trainer. She taps into clients’ mindsets and behaviours by listening and empowering them to believe they can make changes for the long term starting with small realistic goals. Julie has worked in the fitness industry for over 15 years and qualified as a Sports Therapist treating clients with sporting injuries and postural imbalances. Her passion for movement comes from ten years of playing rugby, where your body is pushed to the limits in every way. In a male dominated sport playing in a team of women proved that women are strong, sociable, supportive and capable if they just believe in themselves. Julie is a no nonsense trainer and her clients tell her that this is exactly what they need. She encourages clients to embrace change by taking them out of their comfort zones with exercise. Training with Julie will build your confidence not only physically but also mentally. Julie educates you to completely change your lifestyle and rethink your priorities. Julie is an Advanced Level 3 Personal Trainer and member of the Register of Exercise Professionals. She is co-owner of JB Personal Training with partner Shona Watt.